Do you remember playing in the mud when you were a child? There’s something so satisfying about putting your hands in the dirt and getting downright filthy! Try out these fun mud activities with your own kiddos. Get the inside scoop on how to turn mud into the ultimate muddy sensory toddler playdate! Turn playing in the mud into a STEM experience… Explore dirt through simple play with a magnifying glass. Try out these fun Mud Kitchen Challenge Card or print out these blank Mud Pie Recipe cards to create your own recipe. This dirt sensory bin challenge is for first time sensory bin makers and seasoned creators of fabulous sensory bins! 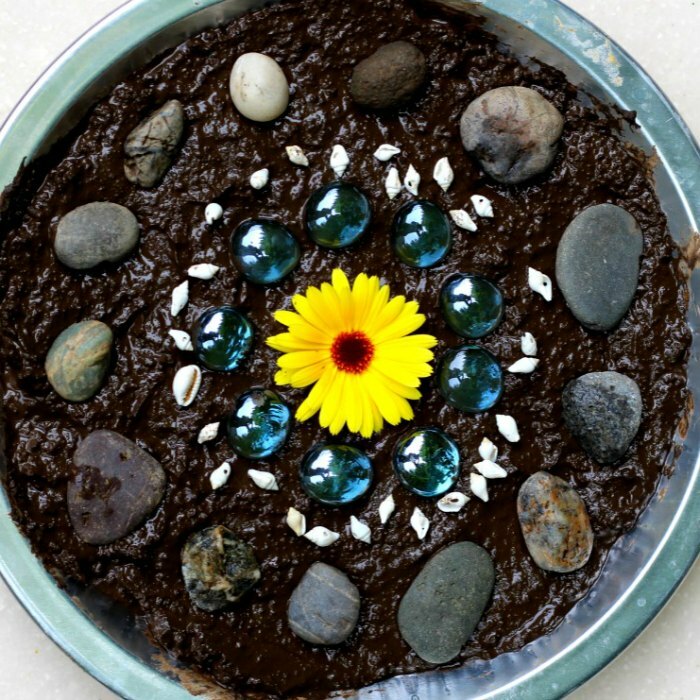 Decorate mud pies by placing natural items and other fun things like glass gems. Action figures, legos, and cars work great too! 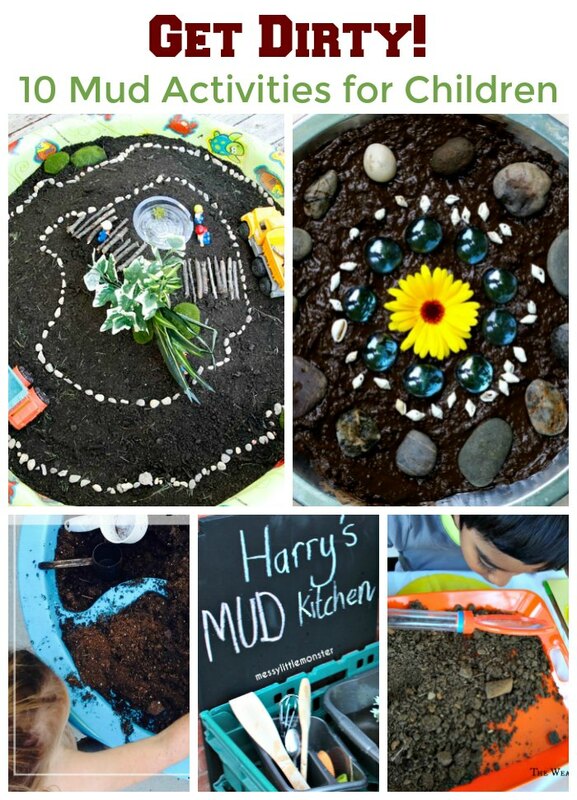 This is a wonderful process art activity, even though it may just look like playing in the mud. 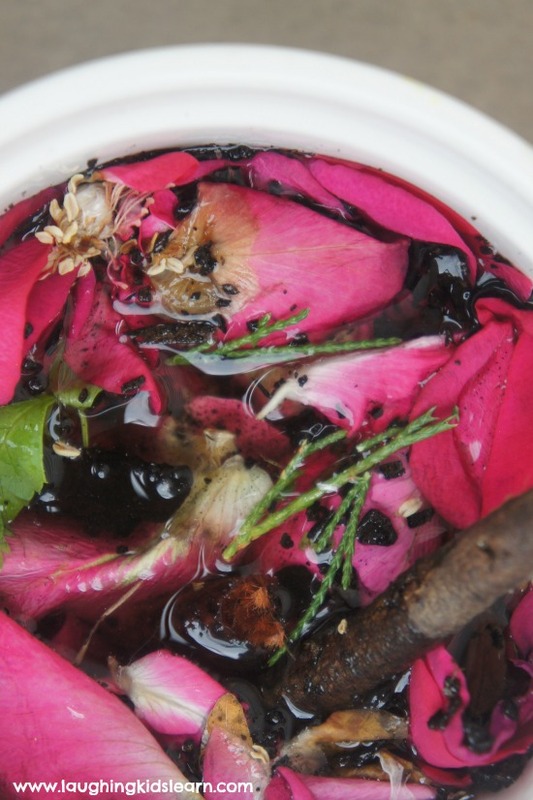 The beauty of making a mud stew or potion is that you already have the ingredients (dirt and nature), you already have the utensils (bucket, bowls and sticks) and there are so many ways to extend on this activity too . This is fairy mud for outdoor and sensory play development. It is all natural and a fun way for kids to use bits and pieces found in their own environment and mix them together. The rose petals adds a lovely fragrance to the mixture and children love how pretty it is, perfect for fairies. Crate an contained outdoor space where kids can drive their trucks on muddy trails and take their LEGO people on a walk to the park on the top of a hill. Water, mud, trucks and rocks. What could be more fun for a little kiddo? Old tables, pieces of wood, bricks, milk crates or food crates can all be used to make a really simple mud kitchen. 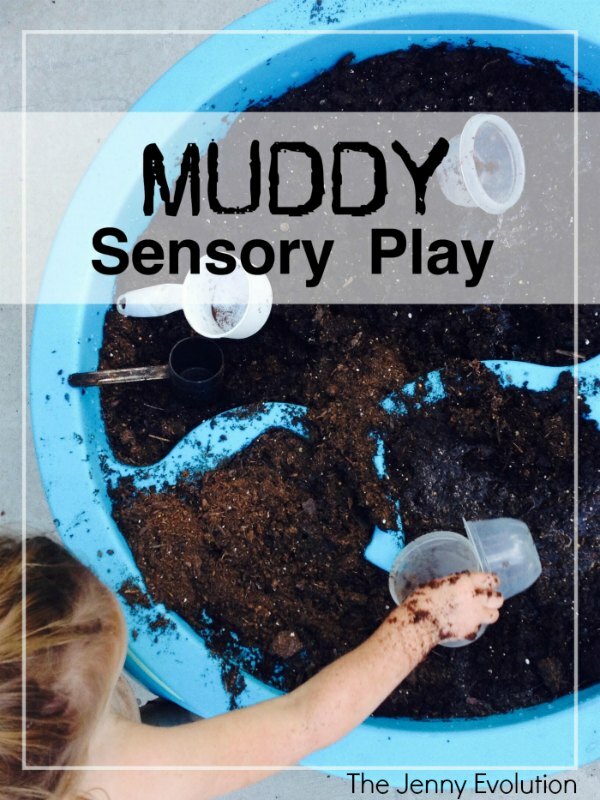 It doesn’t need to look perfect, this activity is about giving kids an opportunity to get muddy and use their imagination in their own area of the garden! Have you tried painting with mud before? Your child will be fascinated by the fact she could paint with it and will enjoy exploring the texture with her hands. We love mud play (what kid doesn’t?). I love the decorated mud pies look so fun.